My journey began when I pulled out of my driveway onto empty streets. Not completely empty you understand; just deadly quiet, like most streets in Britain. You notice it when you come back from, say, India, or Colombia, where the streets are often full of people socialising, selling, buying, praying, begging or otherwise lurking in a way that would be deemed unacceptable in South East London. The streets are full of cars of course, but not of people, except at concentrations of shops. The emptiness of our streets in comparison to Delhi’s may not be due to cultural differences or a lack of desire to use the street. Our streets are subject to a strict regulatory environment, particularly with regards to selling or socialising. It was not always so in Britain: I met a man who moved into my area in the 1960s who said he remembered the streets buzzing with life – street traders everywhere, a social life on the street. Now the area struggles to rid itself of the idea that it is a place to pass through on a busy road. We can see glimpses of the picture within certain lines of research: the literature on urban planning reminds us that 20th Century planners often saw themselves as knights of order battling the ‘disorder’ of so-called slums. Did everyone find the disorder so distasteful? Presumably many of those who participated in it did not. But while we have a literature on slum clearance, its focus is naturally on residential property rather than on the streets themselves. In The Regulation of Street Trading in the UK, Jones, Comfort and Hillier, in one of the few academic articles on the topic, look at the reasons given by local authorities for regulation. These include safety concerns, obstruction issues and crime worries, but above all the perception of propertied retailers that street traders are in some sense unfair competition. It is difficult to see, if we accept the tenets of the free market, exactly what is unfair about having a business model that allows one to offer lower prices, but little challenge appears to have been offered to this narrative. Since my route out of London on that trip led past Westfield, which has the monstrous appearance of something utterly free of regulation, I feel no need to argue with this conclusion. What few writers address is the issue of consent for this control over our communal space. Who really wanted the street regulation regime, of which trading regulation forms a part? In what sense is it democratic? What violence must occur to keep the regime in place? How and why did it lead to these empty streets I see before me now? There is a history to the fact that our cities are chopped up into private property and highly regulated public property. Other paths could have been taken – but did we somehow collectively choose this one? Perhaps some section of the population does want empty streets. But how would we know who does and who doesn’t? We’ve rarely even discussed it. Perhaps the most recent debate about our streets regime was over the proliferation of CCTV cameras over the last twenty years. It was a debate many of us felt we had no real say in. The cameras rolled out across the land at the behest of bureaucrats, police and businesses. Our opinions were not welcome. My trip led me out of London, north and eastward into Norfolk, now dominated by large fields full of vegetables and wheat. The landscape used to look very different. Outside Wymondham we stopped at Kett’s Oak, supposedly host to a meeting in 1549 when Robert Kett led anti-enclosure protesters in a rebellion that gathered an army of 15,000 fighters. A fast road now runs past Kett’s Oak; one of its names is Norwich Common. We were standing on the edge of what was once a large common between the villages of Wymondham, Hethersett and Great Melton. My search for a map of the common had proved fruitless – local archives only hold more recent maps showing later enclosures. But in the middle of the triangle made by Wymondham, Hethersett and Great Melton is a small wood. If we headed for that wood, I decided, we could be sure of crossing formerly common land. Kett and the rebels were incensed by the enclosure of this land on which the commoners had held resource use rights. The rebel force held a parliament of reformation on Mousehold Heath, listing 29 demands aimed at keeping the landowners and clergy in check and protecting their own livelihoods, in particular their stake in the common lands. These days of course the area is farmed as private land, the land efficiently tilled and sprayed and harvested. It is not our land any more, we were reminded by notices telling us where not to walk. We saw an old ditch-and-hedge boundary, the hedge once layed in the traditional manner but now trimmed by flail. The boundary may have first been established at the time of the enclosures to stop commoners entering the land that had once been theirs. There were signs of the old ways around us too. Some grand pollarded oaks at the corner of a field probably pre-dated the enclosure of that part of the common. Pollarding was a form of wood harvesting, the rights for which may have been shared by designated people. Other rights were often held on the common: fishing in the pond we passed, harvesting reeds for baskets, hunting. The pheasants we saw are now privately owned of course. It is possible to imagine the tragedy the enclosures must have been to many people. Many of the resources may not even have been utilised after enclosure. Big landowners were discovering more efficient ways to farm– it is doubtful it would have been economic for them to use the resources as intensively as the commoners had done. Perhaps many of the resources were left to degrade or rot, and the pollards left to regrow beyond the point they could be cut. We approached the wood at the centre of the common and found ourselves separated from it by a field of young wheat. Today, I decided, it would be common land and I would cross it, no matter the minor damage involved. The wood was much like a thousand scraps of woodland remaining around the British countryside. Some sweet chestnuts bore signs of coppicing; perhaps they were harvested by commoners, or perhaps the woodland is more recent. If it was once profitable to harvest it privately, that is no longer the case – the wood had an abandoned feel, like our empty streets. The rebellion headed by Kett won some early battles but was finally defeated by a force of German mercenaries. Around 3000 rebels were killed in battle and between 30 and 300 hanged afterwards. 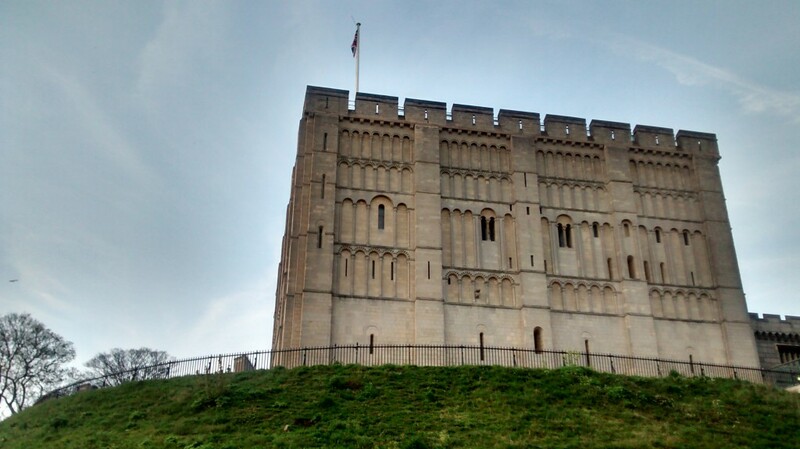 Robert Kett was tried in London then hanged from the battlements of Norwich Castle. His brother William was hanged from the steeple of Wymondham Abbey. This glorious incident in which Germans were hired to slaughter insurgent democrats demanding their rights is not something our history books dwell on. So the boundaries and use of our land were determined by violence. Having left the common we reached Norwich, where we encountered the police in the town centre showing off their dogs. I last saw these dogs blocking the high street in Lewisham during the 2011 anti-police riots. I saw them too moving in a line across a semi-enclosed Morrisons car park in Peckham, their ceaseless barks and black-clad handlers far more sinister in the sodium glow of the streetlights than the window-smashing I had seen earlier. That day a young man tried to appropriate my bicycle and I was glad when an acquaintance took a swing at him. But I also understood what had happened: in the attempt to make commons of the streets, everything had been declared common. The pendulum had swung the other way. Kett’s parliament shows another path to violent confrontation – that of people discussing and acting together to decide how to live. That path can also be seen in the Speech House in the Forest of Dean. The Speech House was where foresters met to discuss their shared use of the ancient forest – the very name of it reminds us that democratic ideas in Britain long predate their arrival in the Westminster parliament. Just down the road from the Speech House is a late enclosure marker. It is headed with the sign of the monarch of the day: VR. The government gave its approval to this enclosure, and some individual benefitted. But what of those who didn’t? Queens Bench Division 10th April 1996. W stood in one place in a Stevenage street (where street trading was prohibited) and sold Christmas wrapping paper from a bag at his feet for over one hour before being approached by local authority officials. He claimed to be acting as a pedlar and the magistrate dismissed the case against him. The prosecution appealed and HELD. W was not a pedlar but was acting as a street trader. A pedlar ‘travels or trades on foot and goes from town to town or to other men’s houses’, thus he cannot set up a ‘pitch’. Whether or not a pitch has been set up depends on the circumstances- an individual does not have to have a stall. A pedlar, by definition, is a person who sells to a customer and moves along to the next sale. No recognition in there that one might have to be in quite economically dire straits to be selling wrapping paper from a bag. The law is not interested in that. It treats everyone equally: the rich are also forbidden to sell wrapping paper from a bag at their feet. Nor is there recognition that people wanted to buy, perhaps trying desperately to create a merry Christmas on a low budget. It is often on the matter of economic uses of the streets that the law has the most to say – I am using ‘economy’ in its broadest sense of the provision of our daily requirements. The Vagrancy Act of 1824 now has a long and inglorious history; we are approaching the two hundredth year of it being illegal to beg or sleep rough on the streets. In the post-war years of greater economic equality, usage of the Vagrancy Act declined but over recent decades the police have been using it with more regularity, amounting to thousands of arrests per year. Recently they used it to arrest three people collecting food from a skip outside Iceland. They didn’t back down until they heard that the CEO of Iceland disapproved of the arrests. Simply giving away food on the street is also forbidden – something most people are unlikely to know unless they attempt to do it. Brixton Food Not Bombs, a group using skipped food to cook meals then give them away to all comers, did not last long. They suffered police harassment almost from the outset, and finally arrests. The law is also concerned about what we do in parks. Parks are for the public. If the public attempts to use the public park in any but the approved ways they are thrown out of the park so that the public can use the park. Try selling something or holding a protest in a public park and see how long you last. Most people of course have learned not to try, though the learning is mostly subconscious. Perhaps our empty streets regime became most obvious when it came to the 2011 riots: the resentment against the police stemmed from their constant street harassment of young people they perceived to be of lower class backgrounds. The police had made it clear for decades that they considered the streets inappropriate places for spending time in, particularly for the children of the poor. It took a shooting for people to crack, but the desire to take back control of the streets and get some measure of revenge on the police must have been brewing for a long time. Much of the country did not want to see this. They were blissfully unaware there had been a battle going on for control of the streets – they had given up on the battle long ago, or perhaps some felt they benefitted from it. Our empty streets have a past that explains their present: they too have been enclosed, by regulation and police presence more than by fences. What fences and street regulation have in common is exclusion: they make clear who is not wanted. Who of us wanted this current regime? To what extent does it have any sort of democratic mandate? The history of it is somewhat hidden. Who remembers when parks got gates? Who remembers when street selling became illegal without permission? Who knows the history of the Vagrancy Act? Perhaps each of these questions have been asked by experts in, say, parks, or street trading law, but who puts it all together to ask what has happened to our streets? Who asks if this regime arose by consent? This saying so grieved the Londoners, that suddenly this year a great number of the city assembled themselves in a morning, and a turner in a fool’s coat came crying through the city, ‘Shovels and spades! Shovels and spades!’ So many of the people followed that it was a wonder to behold. And within a short space, all the hedges about the city were cast down, and the ditches filled up, and everything made plain, such was the diligence of these workmen. The victory was only temporary, for the expansion of the city meant the re-enclosure of all the land. Eventually many streets even became private: toll booths and barriers sprang up all over London and it took a concerted Victorian campaign to re-open them. The lesson we see here is perhaps that if we don’t actively campaign to save it, guard it with eternal vigilance, our public space will always be eroded. While most of our streets remain nominally public, the increase in regulation has rendered them no longer ours: we have seen one regulation upon another until the empty streets became natural to us. If we have been vigilant in defence of public space, perhaps we were looking in the wrong direction. Most of us don’t want to farm or cut wood any more, but urban streets can still provide us with resources that we have lost through the current street regime. We have lost space which we could potentially utilise to improve our lot. The loss is largely forgotten: most of us stay out of the streets except when travelling and we may never even discover they are kept empty not by some natural process but, as beggars and poor young men know, through violence. This loss is also ongoing: our space is being privatised, a change that Jeremy Németh and Stephen Schmidt (2009) showed has a tendency to increase behaviour control. Or our space is now privately patrolled in Business Improvement Districts such as in London’s Fitzrovia. To balance this out we have a discourse of ‘happy’ cities, or ‘convivial’ or ‘feel-good’ urban spaces, with positive attributes supposedly designed in through top-down processes. The economic organisation of the city is rarely mentioned. I can see the possibility of another future, one where people decide to imagine and name an urban commons and claim them for their own. My ‘urban commons’ is not the slightly abstract urban commons advocated by David Harvey or Hardt and Negri, who bolt the concept onto their theories of social relations. This loses the historical particularity of the commons and uses it as a rallying call to take on global capital. That approach may have its uses but sometimes collective action needs to start around us. The urban commons I am referring to is a physical shared space in which we hold collective rights to economic resources. I relate it to the rural commons lost to enclosures not in order to hark back to a mythical golden age, but to underline that what we have lost, unnoticed, through regulation, is a set of economic rights. We can’t be sure what an urban commons would look like yet. Perhaps in these uncommon times they will not generate spontaneously but will require us to deliberately initiate processes of commoning in the streets around us. We could even take advantage of the neo-liberal zeal for deregulated zones and think about a partial commons in particular locations: street zones in every town and city across the country freed of council regulations but regulated, like the ancient Forest of Dean, by their own users. As a form of collective action, such minor commons could be a small step towards something bigger: a more common planning regime, common energy and services, and a common right to a home. But even if such urban commons never went further than the right to use and manage the streets, they would at least open up economic resources to people who needed them. And if such self-managed commons got shut down quickly, this time we would know who was demanding it. We could begin to understand for the first time our empty streets regime, and the battles we will have to fight for a more common future. *Edit: A friend has reminded me of Ground Control by Anna Minton and chastised me for not referring to it. It is an excellent book but focusses strongly on the privatisation into quasi-public space and the increasing surveillance and securitisation of urban space. The former I don’t want to get into because I’m more concerned here about the actually public space. The latter did possibly deserve a mention here, but Ground Control never gets into the questions of who demanded this regime, or what people might want to do with the space if they weren’t under constant constraint. “What a difference there was between the new and the old parts of Mexico City only 20 years ago. In the old parts of the city the streets were true commons. Some people sat on the road to sell vegetables and charcoal. Others put their chairs on the road to drink coffee or tequila. Others held their meetings on the road to decide on the new headman for the neighbourhood or to determine the price of a donkey. Others drove their donkeys through the crowd, walking next to the heavily loaded beast of burden; others sat in the saddle. Children played in the gutter, and still people walking could use the road to get from one place to another. Such roads were built for people. Like any true commons, the street itself was the result of people living there and making that space liveable. The dwellings that lined the roads were not private homes in the modern sense – garages for the overnight deposit of workers. The threshold still separated two living spaces, one intimate and one common. But neither homes in this intimate sense nor streets as commons survived economic development. Next Post: A cultural escape route?